Fairy Tale Re-tellings: Overdone or just what YA needs? Shelves at bookstores are chock-full of vampire stories and werewolf sagas and chicklit with various pieces of candy on their covers. A beloved, yet overlooked genre of books that has gotten little attention are Fairy Tale Re-tellings. 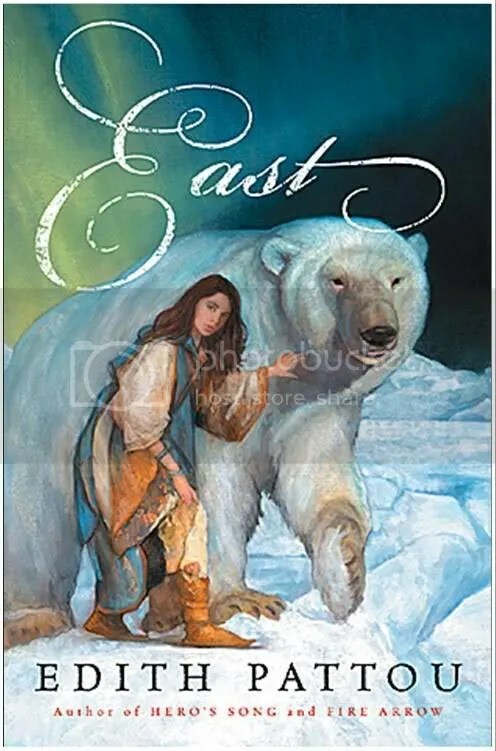 “East” by Edith Pattou is one of my favorites in this genre, based on the fairy tale “East of the Sun, West of the Moon” with a little bit of “Beauty and the Beast” and the legend of “Cupid and Psyche” mixed in. However, there are so many fairy tale re-tellings out there especially in YA fiction, has it become overdone that readers are overlooking them? Beastly by Alex Flinn is a retelling of…you guessed it…Beauty and the Beast. There are so many retellings of Beauty and the Beast, but there are other refreshing retellings that have been making their way into libraries and bookstores like “Goose Girl” by Shannon Hale and “Princess of the Midnight Ball” by Jessica Day George. What do you think? Is this a genre that is deservedly overlooked because it is done so often? Or is it just what YA needs amidst the deluge of “Twilight” copycats? I’m a big fan. My favorites list is full of fairy tale retellings. Ella Enchanted, Spindle’s End, Wildwood Dancing…but East is one of the best. So many stories mixed together, so much strength and character. I think this is JUST what YA fiction needs, to redeem itself from Gossip Girl and Twilight and other poorly written but sensationalist books that are getting a lot of buzz. One of my recent favorite re-imagined fairy tales was last year’s Ash by Malinda Lo, which draws from the Cinderella story. The prose was electric. So, so well done! I wasn’t as captivated by a Rumplestiltskin retelling called A Curse Dark as Gold by Elizabeth C. Bunce, but that is another one I know has gotten attention in recent years. I’ve never heard of Ash—I will have to check out that one! What do you think about the Peter and the Starcatchers series? I’ve never read Peter and the Starcatchers, although I am familiar with Dave Barry’s humorous writing for adults. Did you enjoy the series? I think fairytale re-tellings will always hold appeal and always be somewhat popular (maybe second place to whatever is the current fad). I’ve never really had a terrible experience with a fairytale re-telling, I’ve always enjoyed them… they’re my comfort reads! ← Enter to Win Advance Review Copies of “Linger” by Maggie Stiefvater!